ERMes is a no-nonsense ERM tool offering effective electronic resource management capabilities for libraries of all sizes. It’s free, built with simplicity-of-use in mind and up and running in an instant without requiring assistance from the IT department. A crucial selling point for ERMes is that it can be easily tweaked and comprehensibly customised to your local needs. For sure, bigger operations might require a more sophisticated set-up (see for example Coral (free) or Cufts (hosting not free)). However, ERMes offers an effective solution to sustainable e-resource management. For example, it's easy to track a database's cost history over time and record licence requirements and user allowances. You can keep relevant URLs and vendor contact details in one central place and access usage statistics in a simple and straightforward manner. Basically, ERMes pulls information you hold on electronic resources subscriptions into one, easily managed space. For the purpose of informing your decision making process, it's also worth your while to check out the excellent Open Source ERMS Presentation below (ALA Conference, June 2011). It discusses why the University of Wisconsin - La Crosse (ERMes) and the University of Notre Dame (CORAL) developed their respective in-house ERM solutions, as well as covering perceived benefits and inherent challenges. A good Open Source alternatives to Microsoft Office is Libre Office. Its 'Writer' word processor has similar functionality to Microsoft Word. Libre Office also has spreadsheet, presentation, vector graphics editor and database management programmes. Koha is an Open Source web based Integrated Library System with a highly configurable user interface with social media facilities built in. Evergreen is another Open Source alternative Integrated Library System which includes an OPAC as well as cataloguing, acquisitions and circulation modules. Zotero is a superb free alternative to the likes of EndNote or RefWorks. This citation management software is now used in many academic libraries for students to cite and create bibliographies easily. A superb guide to Zotero can be found here. Omeka is an interesting looking web publishing system for online digital archives that can create professional looking online exhibits for libraries' digital collections. Finally, the presenter highlights the excellent Portable Apps service which enables users to install many Open Source apps on a memory stick and install them on different machines. The full presentation can be seen below. When writing a review of a book about elegant expression it is difficult not to feel instantly self-conscious of your own stylistic weaknesses, which are all too readily picked out by the fine-tooth comb of Helen Sword’s Stylish Academic Writing. However, thankfully the author’s analysis is not so much concerned with highlighting the flaws of others, but rather in raising the question: if convention should not constrain academic thought, why should it be allowed to dictate the style of academic writing? Of course, this is not to suggest that authors should start overloading papers with creative and colloquial language, but perhaps to keep in mind that for everything, there is a time and a place. Sword likens this idea to the contrast between a researcher explaining an idea over coffee, perhaps sketching out diagrams loosely on a serviette, and listening to a monotonous PowerPoint presentation. The difference is clear: engagement. It is true that a more creative, stylish approach may not appeal to every reader, or indeed play to every writer’s strengths. However, it should not be the case that research is not taken seriously unless expressed in passive, dry and esoteric tones. The argument that “I write that way because I have to” should not be the reason offered, Sword argues. Her survey of the relative frequency of various stylistic attributes across disciplines may be enough to make some historians (the use of first-person pronouns!) or medics (engaging title!) shut their eyes and plug their ears. Style, after all, is a subjective attribute. However, Sword also draws on three key principles which are pretty much universally accepted as being hallmarks of good writing: using concrete nouns and vivid verbs rather than abstract terminology, keeping both close together within the sentence, and avoiding weighing down sentences with needless “clutter”. Tight writing is something I always enjoy reading, and I believe there is great beauty in the efficient use of language. However I often forget this when writing myself, and Sword’s book serves as a useful reminder in this context: Do I really need that adjective? What is the value to the reader in using such an abstract noun? Spotlight on Style callouts highlight the approach of selected researchers who are noted for their engaging prose. These examples tend to be largely drawn from the broad spheres of the Arts, Humanities and Social Sciences, where it is perhaps ‘easier’ or more acceptable to be more creative in your expression; it is disappointing that there are limited examples from more technical or scientific disciplines. The importance of paying attention to your audience – a hidden but essential component of stylish writing – is openly addressed throughout. Some of her tips - like using imperative verbs or the second person pronoun, you, to establish a bond with your readers, or penning more imaginative titles to make your papers attract an audience - are useful take home points which are easy to pick up on and incorporate. A Things to Try section at the end of each chapter challenges readers to consider how they currently write, and how they might change their approach in the future. The tone is very much ‘try it and see, you can always go back’. Good writing is a continuous learning process, and one with no right (write? :)) answer. There is an awful lot to digest here - perhaps too much; it is not the kind of book that is easy to read from cover to cover. Even a few lines can provide much food for thought and demand re-reading to fully absorb the stylistic nuances and contrasts imbued within. There is great subtlety in good writing. Indeed arguably the best writing should never make you think about how it was written, and so to force yourself to deconstruct vivid and effortless prose can be extremely challenging at times. Fortunately however, Sword generally practices what she preaches. A book about academic writing should not, by convention, be particularly entertaining, but by peppering the text with illustrative anecdotes she lights up the dull task of reading about writing. It is this which makes the struggle at times ultimately worth the effort. 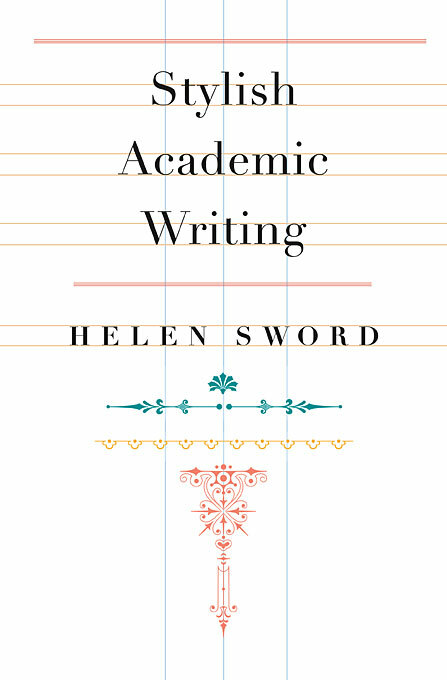 Stylish Academic Writing by Helen Sword is published by Harvard University Press, April 2012, £16.95. Helen Sword also maintains the Writer's Diet (resources for writers) website. There are lots of web apps which store your tweets but some have limitations, such as a maximum number of tweets etc., and also there is nothing quite like having your data in csv format :) This is why I like using Martin Hawsey's Twitter Archiving Google Spreadsheet (TAGS). If any of this sounds complicated, don't worry, it's not! You can set the script to run every hour or every day to 'collect' and archive tweets containing a particular hashtag e.g. #irelibchat. This is how we archived the tweets from the first #irelibchat. You might also want to use it as a research tool - for example if there is a specific product, organisation, event or topic you want to keep track of. You can then manipulate your data easily in spreadsheet format, and it is easier to identify common themes and relationships. Guest post by Alan Carbery, Assistant Librarian at WIT. Alan also runs the information literacy blog edlibbs. The CONUL Advisory Committee on Information Literacy held their annual seminar in TCD’s Nursing and Midwifery College on Thursday 14th June. It was a packed day, with over 12 speakers taking to the stage. Ellen Breen, Committee chair, opened up the seminar with a short report on CONUL’s survey of academics on the overall value and impact of librarians’ contributions to academic courses. Overall, libraries’ contributions are viewed positively with lecturers seeing improvement in the quality and range of information sources being used by students. There is also anecdotal evidence that grades have improved as a result of information literacy teaching. The survey also found that over 80% of academic staff specifically want further information literacy support and materials online. More information can be found on ANCIL from http://newcurriculum.wordpress.com and http://implementingancil.pbworks.com. Jane rounded her presentation off with a short clip from the ANCIL video. The first round of Pecha Kucha’s took place. The Pecha Kucha presentations were designed to provide a short showcase into the various information activities ongoing in CONUL institutes around the country. Jack Hyland, DCU - Jack spoke about using Moodle discussion forums for assessing IL in undergraduate business students. Jack gave an honest critique of the initiative highlighting some of the snags met along the way. Philip Cohen, DIT - Philip spoke about the NDLR funded initiative in DIT to create a suite of online reusable learning objects in for business, law and media studies. Seven tutorials highlight DIT’s library resources. Monica Crump, NUIG - Monica explained that following a merging of their circulation and information desks, NUIG devised a classroom and mentorship programme for their library assistants that saw them living the student experience through a series of information retrieval tasks. Donna Ó Doibhlin, UL - Donna spoke about the use of student peer advisors during the University’s 7 week programme, designed to orientate and familiarise students with services in an effort to boost retention. Donna spoke favourably about the initiative. Peter Hickey, UCD - Peter highlighted UCD library’s video tutorials initiative. Peter reminded us that we have 30 seconds to get our message across and capture our user’s imagination. Pauline Murray, NUIM - Pauline highlighted NUIM Library’s acquisition and lending of Kindle ebook readers to its patrons in an effort to develop its mobile library initiatives. The initiative has been a real success. Pauline highlighted some issues regarding personal amazon account restrictions. After lunch, Dr. Claire McAvinia, a learning technologist from NUIM, spoke on her research into student’s use of VLEs. According to Claire, students’ use of a VLE is influenced largely by their lecturer’s use. According to Claire, students are the consumer in the VLE, not the content driver. Their use of discussion forums, chat facilities, etc, is relatively low. The biggest student usage of a VLE is to obtain lecture notes. It’s suggested that the assumed behaviour of the digital native is not displayed in the VLE. Claire states that we need to ‘wrap-up’ the various learning supports that are out there and find a way to present them collaboratively. Dr Suzanne Guerin from the School of Psychology, UCD presented her reflections on implementing a learning to learn module in the School. The module was designed in conjunction with the library. Suzanne tells us that students were somewhat resentful of the module, claiming they were being taught skills that they already had. Despite this, the School felt that the module did lead to worthwhile learning experiences. Geraldine Prendergast, UCC - Geraldine spoke on UCC’s generic postgraduate module for Arts, Humanities and Social Science students. Una O’Connor, Athlone IT - Una spoke on her use of LibGuides to drive information literacy instruction in Athlone. Finally, Siobhan Dunne, DCU - Siobhan reflected on her experiences of being a student in an online classroom, and how it can help inform her teaching. Siobhan spoke about the benefits of reflection as a teaching and learning tool. As one of the only Irish events dedicated entirely to information literacy, the CONUL seminar is excellent for gaining an insight into the information literacy initiatives occurring in some of the academic institutes around the country. Meebo has been taken over by Google; key services will be pulled by 11th July, 2012. This is an unwelcome development for library and information services that are comfortable with Meebo as their virtual reference platform. Virtual reference is reference service initiated electronically, often in real-time, where patrons employ computers or other Internet technology to communicate with reference staff, without being physically present. Communication channels used frequently in virtual reference include chat, videoconferencing, Voice over IP, co-browsing, e-mail, and instant messaging (RUSA, 2009). Meebo Me is an example of the real-time variety, i.e. instant messaging. Library patrons navigate to a webpage (e.g. library home page) and enter text into an embedded widget monitored by library staff. Typically, the widget will inform the user about the availability of real-time reference services. Which alternative is suitable for your library and information service now that Meebo is no more? This depends on the size of your user base, related staffing requirements and available budget. I have listed below two alternatives (there’s more out there) that meet your IM reference service commitment. The choice depends on your needs and available resources. … is designed with libraries in mind and arguably the most sophisticated and powerful IM ref service out there. It offers real-time chat widgets, flexible librarian staffing (multiple staff accounts), security and privacy, built-in collaboration tools and more. It’s affordable, straight forward to implement and the solution we use. See summary of key features and the article LibraryH3lp: A New Flexible Chat Reference System by Pam Sessoms for more information. Research in this area is still limited (please correct me if I'm mistaken). Below is an overview of the main research findings into an embedded IM service based on a case study conducted at CSUF some time ago (Breitbach et al., 2008). Since the introduction of virtual web chat, reference queries have increased considerably (overall increase of 49% through Meebo and QuestionPoint (proprietary IM service offered at CSFU)). High frequency of professional-type questions (i.e. answers involving in-depth knowledge of library resources/research techniques) = 80% of all web chat queries. Only 3.7% of questions were directional in nature. Over 80% of questions answered using embedded IM took ten minutes or less to answer. Questions asked by walk-in library patrons at the reference desk were answered the quickest (94% answered in ten minutes or less). Statistically, only a marginal time difference was discovered in answering questions between embedded IM and the in-person reference desk. Breitbach, W, 2008. Using Meebo’s embedded IM for academic reference services. Reference Services Review, 37, 15. Dennie, D, 2011. Using Meebo’s embedded IM for academic reference services. Chat widgets as student/librarian communication tools. Library Hi Tech News, 28, 6. Reference and User Services Association. 2004. Definition of Virtual Reference. [ONLINE] Available at: http://www.ala.org/rusa/resources/guidelines/virtrefguidelines. [Accessed 12 June 12]. Guest post: The Hidden Job Market. Where is it and how can I find it? You will have heard the statistics. Over 70% of available jobs never get advertised. Or if they are advertised you can’t help but get the feeling that there is a shortlist of favoured candidates already drawn up and you are not on it. The majority of employers prefer to hire someone they know and trust or someone who is recommended by someone they know and trust. How can you increase your chances of getting a job by getting into this so-called, Hidden Job Market? 1. Do you know what you want? Then tell everyone! Sounds obvious but if you can’t tell potential contacts what type of job you want to do then how can they help you get it? Be specific about the kind of job you are looking for when talking to friends, ex colleagues and acquaintances. They are out there operating in this Hidden Job Market and may hear of something that suits – if you are specific they will remember you, make the link, and are more likely to contact you about it. Stay away from using general lines like “I’ll do anything at this stage” – that will not focus the mind of whoever hears it and it won’t progress your job search. 2. Step away from the computer. It’s good to talk. Many job seekers I know use their computer as their main tool for job search. 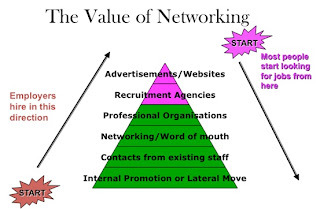 Spending hours each day checking jobs websites and studiously adding connections on LinkedIn will probably not get you a job mostly because that is what everyone else if doing too and the competition is fierce! Try a different approach. Get out and meet people, get your message out there re what you want to do. 3. Networking? No need to fear. It’s just chatting with people and letting them know what you want. Don’t ask your contacts outright for a job but ask them for advice, suggestions re what to be reading, good websites to follow. Ask if they can introduce you to anyone who may be able to help you. Ask what they would do if they were you….basically anything but “Do you have any jobs going at your company?” By doing this you are effectively showcasing yourself and subtly reminding them to think of you when they hear of opportunities arising in the non advertised Hidden Job Market. 4. Don’t waste your time on Dear Sir/Madam letters Sending out a targeted speculative letter and CV to a company and addressing it to someone known to you or known to someone known to you (tenuous, but fine as long as you can mention their name in the letter!) is a good use of your time. Sending out speculative Dear Sir/Madam letters that clearly look like they are being sent to every company in the industry is a complete waste of time and a totally demoralising exercise. So don’t do it! Spend you time figuring out who you know who knows someone in that company – use LinkedIn for this – it’s a great way to find connections into employers through your own network. Stay positive, be brave, ask for advice and think differently when approaching potential employers. Standing out and getting noticed requires a different way of job hunting – go for it! Sinead English and Associates provide career management and job seeking advice. Thanks to everyone who voted in the poll for the first #irelibchat topic - CPD topped the poll with performance measurement in second place. Below is a draft 'agenda' for the Twitter chat based on the feedback and ideas we have received from tweets and emails - if you have any other questions you'd like to add, post a comment or Tweet us @libfocus. 1. How much time do you spend on CPD – both formally and informally? Do you view CPD as an important part of your job? 2. What LIS journals do you find most valuable for keeping up to date? 3. Which web applications and social tools do you find helpful for CPD? Do you find social media is an effective tool for CPD (e.g. 23 things etc.)? 4. What are the main barriers you find in relation to CPD – Financial Cost? Travelling? Time? Staffing Commitments? Are there ways around these e.g. online delivery, leveraging ‘in-house’ expertise to run low cost courses? 5. What are the key current skills required in LIS? How have you acquired and developed these? 6. What are the emerging, future skill requirements in LIS? Are there sufficient CPD opportunities out there to help information professionals develop these, or does the profession need to start offering 'new' kinds of training e.g. data curation and management? Thanks again for all the tweets and feedback - hopefully it will be the first #irelibchat of many. We will be archiving tweets for those who can't make it in realtime also. 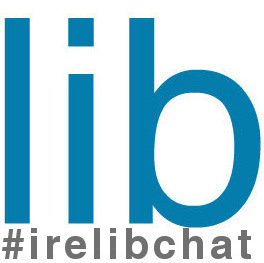 And don't forget the #irelibchat hashtag! Firefox is a popular open source web browser (accounts for ca. 25% of worldwide usage share of available web browsers). The seven recommended add-ons below might also help you when conducting research online. You can also run Zotero as a separate, standalone program without Firefox (Zotero 3.0). ... is a reverse image search engine. The idea here is to identify the source of an image, find out where it comes from and how it is used. To use this add-on, right-click on any web image and select "Search image on TinEye" from the context menu. Results are displayed for you at tineye.com. The results are qualified and very much rely on TinEye’s image database updates (quickly expanding and currently standing at 2,160,069,909 web images). ... is a powerful plugin toolbar for annotating, bookmarking, archiving and sharing web pages. Apart from saving links or the whole web page online, you can also attach highlights and stickies to a web page as a reminder for future use; this is exactly the sort of stuff you need when conducting research and keeping track/note of important information. ... is similar to Diigo but lighter in use. ScrapBook serves to save web pages and organise them in an ordered collection (like bookmarks). You can also full-text search and quick-filter your collection. ... is a handy number and a must-have. Right-click on any foreign-language text in a web page and it will be translated using the Google translation service. Translates from/to the following languages: Afrikaans, Albanian, Arabic, Belarusian, Bulgarian, Batalan, Chinese, Chinese (Simplified), Chinese (Traditional), Croatian, Czech, Danish, Dutch, English, Estonian, Filipino, Finnish, French, Galician, German, Greek, Hebrew, Hindi, Hungarian, Icelandic, Indonesian, Irish, Italian, Japanese, Korean, Latvian, Lithuanian, Macedonian, Malay, Maltese, Norwegian, Persian, Polish, Portuguese, Romanian, Russian, Serbian, Slovak, Slovenian, Spanish, Swahili, Swedish, Thai, Turkish, Ukrainian, Vietnamese, Welsh, and Yiddish. ... see also Pocket; the idea here is to save web pages to a reading list and read them at a later stage when you have time. Pages can be read in offline mode too, so you're not reliant on an internet connection. You can also sync your reading list to all of your computers (work and home) and bookmark pages. Sites Tab: click on one of the sites in the tag cloud and you’ll get all relevant results from the selected source only. The plugin is quite powerful as it employes a few Zoomies (mini search engines), such as Blog Search, Metrics Search and Wikipedia Search, among others. Do leave a comment and share any Firefox plugins that you find helpful for online research. Inspired by the excellent #uklibchat (@uklibchat, http://uklibchat.wordpress.com/) and the growing number of Irish library tweeters, it might be time to try a #irelibchat? It's the first time this prestigious international conference on Qualitative & Quantitative Methods in Libraries has been held in Ireland. It originated in Greece four years ago and next year it will be held in Rome. So it is imperative that I attend since it is literally on my door step. Although the conference is being held in Limerick at the Absolute hotel, the minute you enter the foyer it has an international feel as the staff operating the conference registration desk are all Greek. The conference attracts delegates from over 60 countries, who have come as far afield as Oman, Kenya, India, Malaysia, New Zealand to name just a few. The opening keynote speaker was Dr Ching Chih Chen Professor Emerita Simmons College Boston whose presentation "Beyond Digital Libraries / Archives Museums: how to measure, evaluate and assess their impact in terms of value" focused on two major global projects she was involved with - Global Memory Net and World Heritage Memory Net. Her research findings conclude that the next generation of databases will not have individual fields, instead users will search by randomization using only keywords. The parallel sessions are all chaired and grouped under specific themes, which means you are committed to listening to all five speakers in each one and there is no escape if a presentation doesn't interest you. The session entitled Core Skills Competencies and Qualifications for Today's Reference Librarians focused on the the varying results of studies conducted in USA, France, Australia, Turkey using the exact same questionnaire. According to the findings of the Australian study the most important skills in the next ten years will be online searching, verbal communication, adaptability and social media skills. One presentation given by a researcher conducting an ongoing ethnographic study of the information behaviour of male juvenile delinquents in Malaysia, revealed that Malaysians are fanatical about UK Premier League soccer. She first engaged these young prisoners by asking them what soccer team they supported. Halfway through the presentation when mentioning this fact, the presenter unzipped her jacket to reveal a Chelsea jersey, which took the audience by surprise. It was a long day with conference presentations running until 8pm, so I hope I have given a flavour of the first day's proceedings of the QQML 2012 conference.